In the beginning, I applied for the UNCF/Merck Undergraduate Science Research Award for the opportunity to lighten the financial strain of my education, while taking a shot at an accolade that would be testament to the hard work I had done thus far. 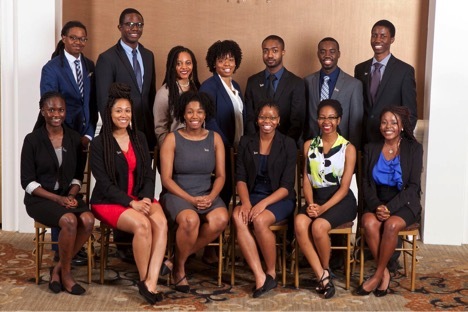 Not until I met the other fellows at the undergraduate, graduate, and post-doctoral level did I realize that the UNCF/Merck was much more: an invitation into a network of intelligent, high achieving individuals who are invested in each others’ success. The quality of character within this cohort is priceless. At the weekend conference where we all met each other, I had a glimpse into my own future at different stages: graduate students in the middle of their respective MD/PhD programs, and physician-scientists who already begun their career after receiving their dual degree. The chance to be simultaneously mentored by black scientists at these stages is quite unique, and it has opened doors for me that surely contributed to my subsequent personal growth and success. In many ways, I feel as though I am part of a family, and as a Fellow, I’ve learned the incredible value pursuing a science career with a strong support system.